Whatever business you’re in, I believe that if you lose sight of the core values you started with, you invariably lose your way. An unhealthy focus on the fruits of increased revenue streams, at the expense of real investment in the people and partnerships that keep you thriving, is an all too common trend. It’s why I’m so keen to make sure that the future we build at Gifted is grounded in our reason for being – philanthropy. If we believe in the importance of philanthropic giving, as a company we must be about more than just creating a transactional relationship with our clients. We need to start with a clear understanding of what is motivating volunteer leaders to fundraise. 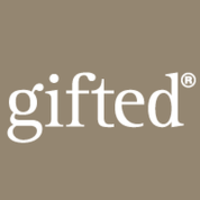 To do this, the team at Gifted foster a personal history of philanthropy by actively giving time and money to the projects or programmes they care about. In my own career, this has inspired friendships with some remarkable individuals in my local community and longstanding volunteer relationships with a number of different charities. Simply put, being a good partner to not-for-profit leaders and volunteers means appreciating the journey they’re on and understanding the challenges they face. After three decades of fundraising for a wide variety of organisations, I’ve found that having a personal insight into what it means to be a volunteer leader, has strengthened the client relationships I’ve been involved in. Knowing what it means to give and what’s at stake when you invite others to share your enthusiasm for a project, has helped me to direct transformational fundraising programmes in the UK and overseas. When I started out all those years ago, I had a sense of how important major gifts fundraising was to building financial health and long term organisational resilience. I still believe that to be the case. But I also realise that you don’t have to make a major gift to be a philanthropist – that is a privilege available to any who are prepared to master their wealth, whatever size it may be, and direct it for the greater good. Whilst the competition for gifts may seem fiercer and campaign metrics more complex, the principles of successful fundraising remain the same. My experience with clients as diverse as the Sydney Children’s Hospital, Shakespeare’s Globe Theatre, Gordonstoun School and Peterborough Cathedral, has taught me that campaigns only win when fundraising is personal and gimmicks are put to one side. Philanthropy is inherently person-centred; it flourishes when people are encouraged to give to other people, rather than causes. As we plan for the future at Gifted, this is one truth that will continue to sit right at the heart of the way we do business. "Andrew is an outstanding, committed, fundraising professional. He combines excellent personal skills with exceptional strategic insight, always applying his wealth of experience appropriately to a client’s market and ambitions. Critically, Andrew does not compromise on sound professional fundraising counsel." 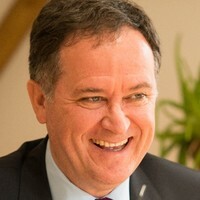 "CFRE International thanks Andrew Day for his long commitment to supporting fundraising professionalism through certification and wishes him well as he begins leadership of Gifted Philanthropy Ltd."
More information can be found on my linked in profile.